MultiBrief: Why are on-the-job deaths of large-truck drivers on the rise? Why are on-the-job deaths of large-truck drivers on the rise? The number of large-truck drivers who died in a traffic fatality reached a record level in 2017 — the last year with complete data available. According to the National Highway Traffic Safety Administration, large-truck occupant fatalities in multiple-vehicle crashes increased by 28.5 percent from 2016. Large-truck occupant fatalities in single-vehicle crashes increased by 8.7 percent from 2016. In total, 725 large-truck drivers died in crashes in 2016, and 841 died in 2017. This marks a 25 percent increase since 2011, and has set a record for crash-related large-truck driving deaths. This increase is the result of several factors. "Behavior is at the root of most safety failures," according to Brian Fielkow, CEO of Jetco Delivery, a trucking company based in Houston that has been praised for its safety record. He is also the author of "Driving to Perfection." The individual employee. While rules and regulations are important, Fielkow says employees have to govern their own behavior. He uses seat belts and texting while driving as examples. "Regardless of seatbelt and texting laws, drivers choose to buckle up or not; they choose to text and drive." And because they’ve gotten away with doing it before, Fielkow says they think that these behaviors are safe. "You can text and drive for 100 days and not have an accident, and day 101, you’re going to kill someone, because you’re gambling," he warns. The employer. However, drivers don’t bear all of the blame. Fielkow says companies have a role to play as well. "Safety can’t be a sign on the wall. It is a nonnegotiable core value woven into the company’s DNA." And this means that safety should come first — before anything else, including on-time deliveries. "It is the trucking company’s responsibility to set professional drivers up for safety success, and this means promoting a safety-first culture," he says. "It means not pushing a professional driver to do anything outside of what is safe, understanding that no load is worth losing a life, and empowering drivers to call a time out with no fear of retribution when they feel something is not safe." When a company needs to manage a late load or an upset customer, Fielkow says the solution can’t be to push the driver too hard and compromise safety. "It’s very rough out there for professional drivers, and there is risk inherent in their noble calling," he says. "It’s our job as employers to help our drivers manage and mitigate that risk." But at the same time, he says employers can’t turn a blind eye when they know that employees are not following the rules. "Let’s say you have an employee who does not buckle up or who texts and drives — and you know it." He believes the employee can be coached, but admits that in many cases, this individual needs to be fired. "If they have such little regard for their own safety, it’s hard to understand how they will care about the safety of the public." And Fielkow says it doesn’t matter if this is one of your most productive drivers. "The outcome must be the same — you can’t play favorites." We also spoke with Desiree Ann Wood, president (and truck driver) at REAL Women in Trucking. She says that truck drivers often operate in an environment that tends to favor fast, quick, and in a hurry. "Drivers, especially new drivers, are pushed to forgo their personal health and wellness to get a load to its destination on schedule," Wood explains. "Since the implementation of the ELD (electronic logging device) mandated by the FMCSA, many drivers have found difficulty adapting, and felt strongly that the new administration would repeal the mandate since there wasn't any hard data that it would improve safety — in the drivers’ opinions, it’s making things worse by forcing drivers to keep driving when they were too tired." Wood says many truck drivers are paid on a "by the mile" system, which includes limits on how much they can drive in a day and in a week. "This contributes to the sense of urgency to move the load, since you are not being paid for your time, and it is a stressful way to live." Another problem: Woods says truck drivers spend a lot of time waiting for trucks to be loaded and unloaded. “These are primarily unpaid work hours for truck drivers and the retailers.” And she believes this contributes to the need to make up that time on the road — by any means necessary. What good is a 600-page handbook if you can’t understand it? Our drivers wrote our handbook. It’s called the Jetco Way and helps us create accountability for process. There are no secrets. We share good news and bad. We are unconditionally committed to continuous improvement. We know that there is no finish line. We reward safe behaviors and outcomes. There are consequences for the opposite. The more the team owns safety, the more they will organically weed out the misfits. Safety is not a department, it’s a way of life. Operations is responsible for the execution of safety. It’s a horrible mistake to delegate safety to a department. Also, while truck drivers must be responsible for driving safety, and companies must support safety in words and deeds, they’re not the only people who need to make adjustments. "Motorists need to give trucks room to operate, because trucks cannot stop or turn as fast as a car," Fielkow says. "Also, after a long day of driving, shippers can be welcoming to drivers who are making a delivery." Technology can also make a difference. 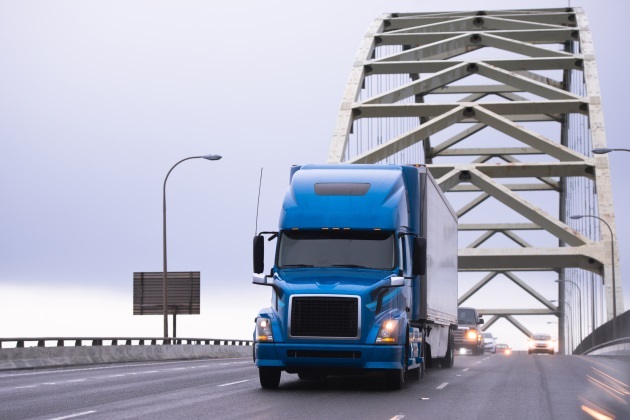 "If you look at technology being deployed in trucks by the major manufacturers, much of it is safety related: stabilization, lane departure warning, et cetera." However, Wood believes that more needs to be done. "The public needs to understand how their consumer demands are contributing to pushing the envelope on safety." And while it’s only the death of truck drivers that is increasing, Wood concludes, "We all share the same highways."